House of Hope’s Sunday Series invites well-known speakers to discuss key issues of our day. 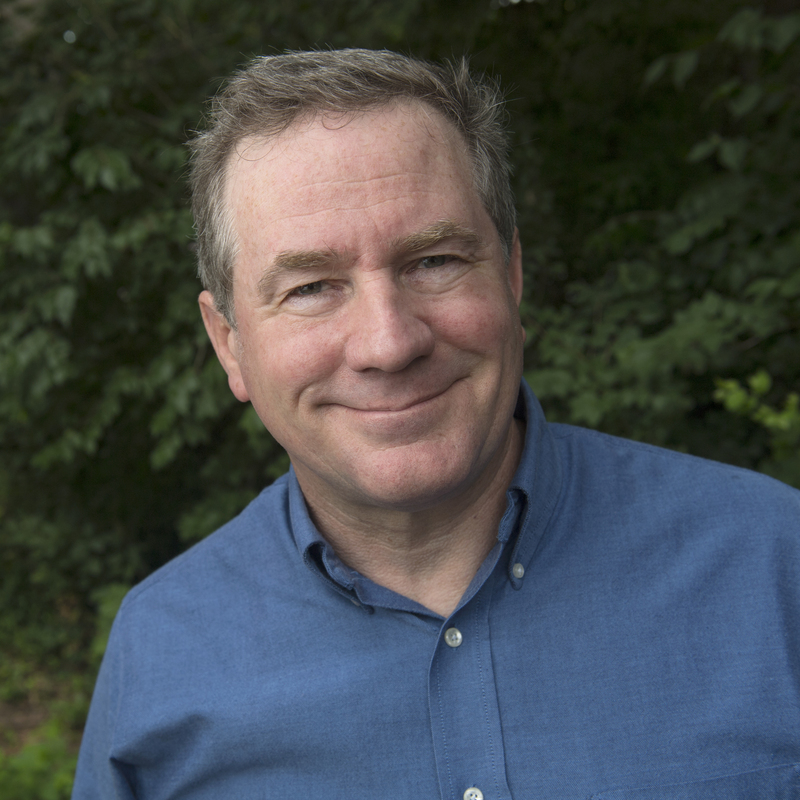 As part of our environmental awareness focus this spring, House of Hope is proud to welcome National Geographic’s Joel Sartore as our Sunday Series speaker. Photographer, speaker, author, teacher, conservationist, National Geographic fellow, National Geographic magazine contributor, Joel launched the Photo Ark project 11 years ago in his hometown of Lincoln, NE. 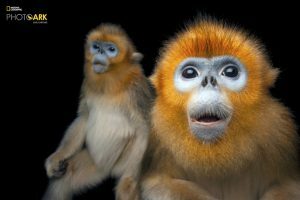 Since then, his passion for preservation and conservation has taken him—and his camera—to 40 countries in a quest to create the Photo Ark archive of global biodiversity. The Photo Ark’s three-pronged approach harnesses the power of National Geographic photography and the bold ideas of explorers. 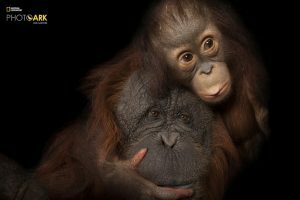 Through Joel’s camera, the project aims to document every species living in the world’s zoos and wildlife sanctuaries, inspire action through education, and help save wildlife by supporting on-the-ground conservation efforts. Once complete, the ambitious collection will feature portraits of roughly 12,000 species of birds, fish, mammals, reptiles, amphibians, and invertebrates, serving as an important record of each animal’s existence and a powerful testament to the importance of saving them. The interaction between animals and their environments is the engine that keeps the planet healthy for all of us. But for many species, time is running out. When you remove one, it affects us all. The Photo Ark is a multiyear effort to raise awareness of and find solutions to some of the most pressing issues affecting wildlife and their habitats. At the event, Joel will share many of his portraits, bringing his hallmark sense of humor and compassion. Joel has produced several books including RARE: Portraits of America’s Endangered Species, Photographing Your Family, and two new National Geographic Photo Ark books: The Photo Ark and Animal Ark. Sartore has contributed to Audubon Magazine, Life, The New York Times, Sports Illustrated, and numerous book projects. Joel and his work have been the subjects of several national broadcasts, including National Geographic’s Explorer, NBC Nightly News, NPR’s Weekend Edition, Fresh Air with Terry Gross, and the PBS documentary series, Rare: Portraits of the Photo Ark. He is also a regular contributor on the CBS Sunday Morning Show. 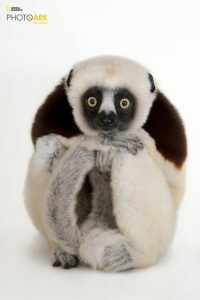 A Coquerel’s sifaka, Propithecus coquereli, at the Houston Zoo. 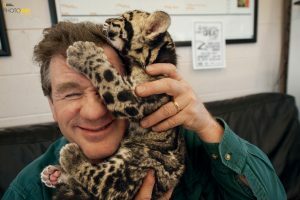 After a photo shoot at the Columbus Zoo in Ohio, a clouded leopard cub climbs on Sartore’s head. The leopards, which live in Asian tropical forests, are illegally hunted for their spotted pelts. 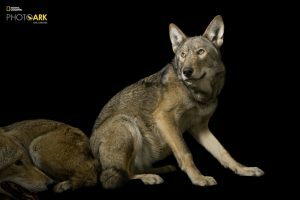 A pair of red wolves, Canis rufus gregoryi, at the Great Plains Zoo. 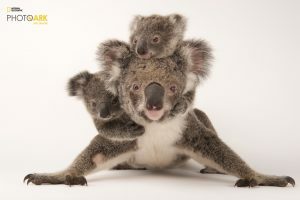 A federally threatened koala, Phascolarctos cinereus, with her babies at the Australia Zoo Wildlife Hospital. Two Golden snub-nosed monkeys, Rhinopithecus roxellana, at Ocean Park Hong Kong. 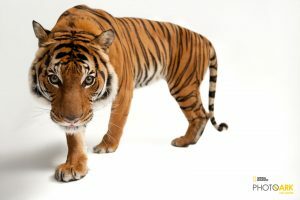 An endangered Malayan tiger, Panthera tigris jacksoni, at Omaha Henry Doorly Zoo. 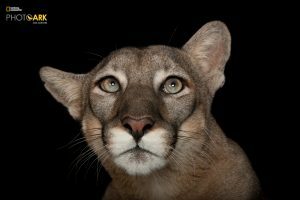 A federally endangered Florida panther, Puma concolor coryi, at Tampa’s Lowry Park Zoo. 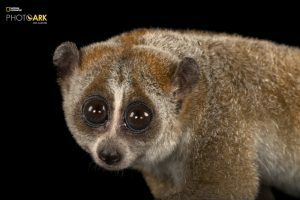 A pygmy slow loris, Nycticebus pygmaeus, at Omaha’s Henry Doorly Zoo and Aquarium. 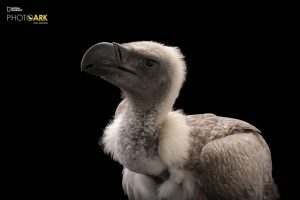 A critically endangered African white backed vulture, Gyps africanus, at the Cleveland Metroparks Zoo. An endangered baby Bornean orangutan, Pongo pygmaeus, named Aurora, with her adoptive mother, Cheyenne, a Bornean/Sumatran cross, Pongo pygmaeus x abelii, at the Houston Zoo. 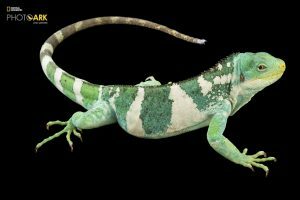 A Fiji Island banded iguana, Brachylophus fasciatus, at the Los Angeles Zoo. 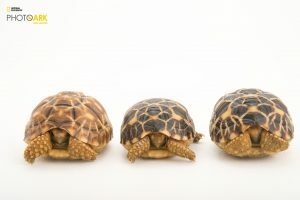 Three critically endangered, yearling Burmese star tortoises, Geochelone platynota, at the Turtle Conservancy. 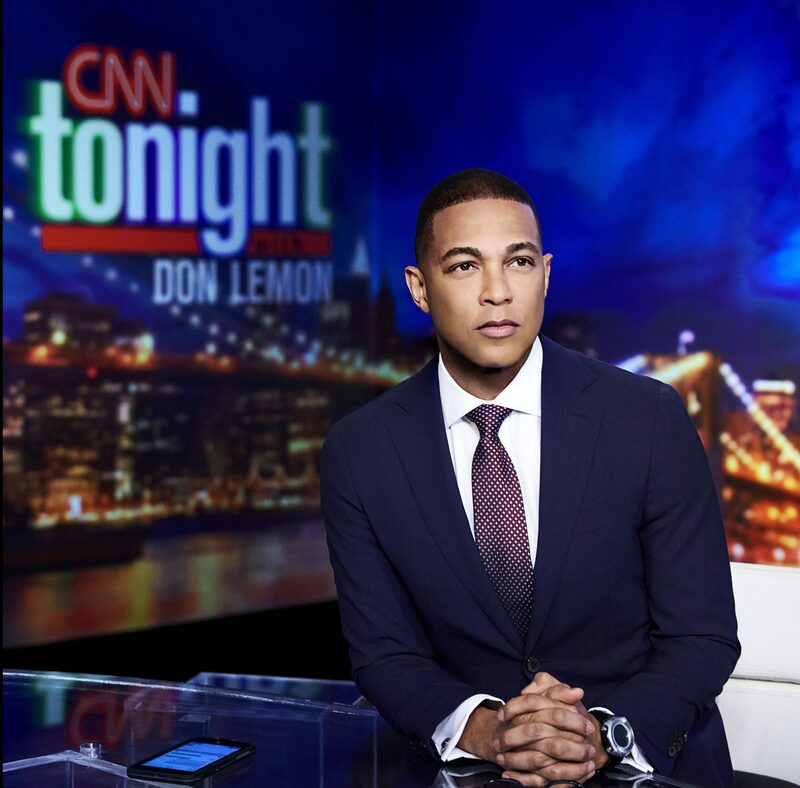 Don Lemon is a veteran TV journalist and trusted source of information from CNN, NBC, and MSNBC. Relatable and charismatic, Lemon’s award-winning work defies genre, candidly exposing injustice and the resiliency of the human spirit. A true product of the modern news age, Lemon discusses how he has embraced social media’s power to reach viewers. An inspiration to diverse audiences, he shares his hard-fought rise to primetime as one of the most prominent African-American and gay men in TV news today. 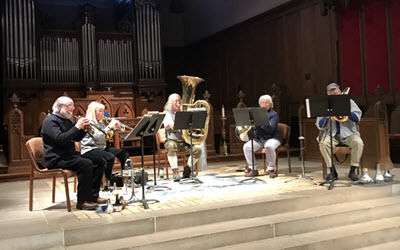 Doors open at 1:30 p.m, seating is first come, first served. This event is free and open to the public. Parking is available in our lots located on Summit Avenue and Grotto and behind the church on Portland Avenue and Avon. Street parking is available around the church. 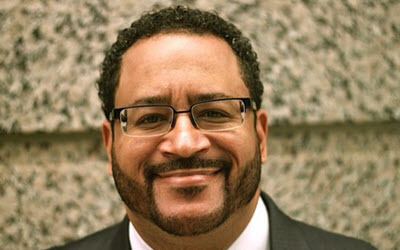 Dr. Michael Eric Dyson-an American Book Award recipient and two-time NAACP Image Award winner-is one of the nation’s most influential and renowned public intellectuals. He has been named one of the 150 most powerful African Americans by Ebony magazine. Most recently, he’s published Tears We Cannot Stop: A Sermon to White America. Named a bestseller by publications such as New York Times, Publisher’s Weekly, Los Angeles Times, Washington Post, and more, the book has been hailed as a profound and provocative analysis of modern-day race relations. Later this year, he will be releasing the book What Truth Sounds Like: Robert F. Kennedy, James Baldwin, and Our Unfinished Conversation About Race in America, which explores the history of the intersections between race and democracy. 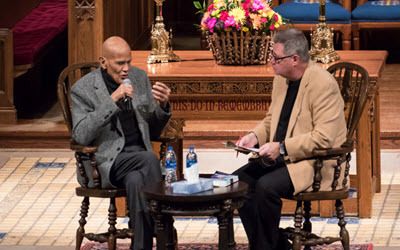 Legendary music artist and actor Harry Belafonte possesses unparalleled experience in the arena of world-wide social justice struggles. Through his friendship with the Rev. Dr. Martin Luther King, Jr., his work as a UNICEF Goodwill Ambassador, his role as celebrity ambassador for juvenile justice issues with the ACLU, Belafonte provides a vital perspective on some of the most pressing issues of our time-from the Black Lives Matter movement to U.S. foreign policy and humanitarianism in Africa. Jill Biden, wife of 47th Vice President Joe Biden, is a mother and grandmother, a lifelong educator, a proud military mom, and an active member of her community. 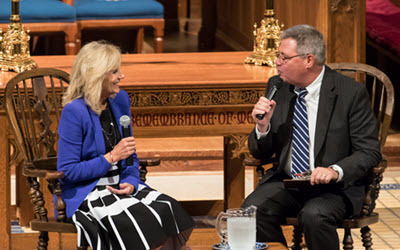 As Second Lady, Dr. Biden worked to bring attention to the sacrifices made by military families, to highlight the importance of community colleges to America’s future, and to raise awareness around areas of particular importance to women, including breast cancer prevention, all while continuing to teach as a full-time English professor at a community college in northern Virginia. 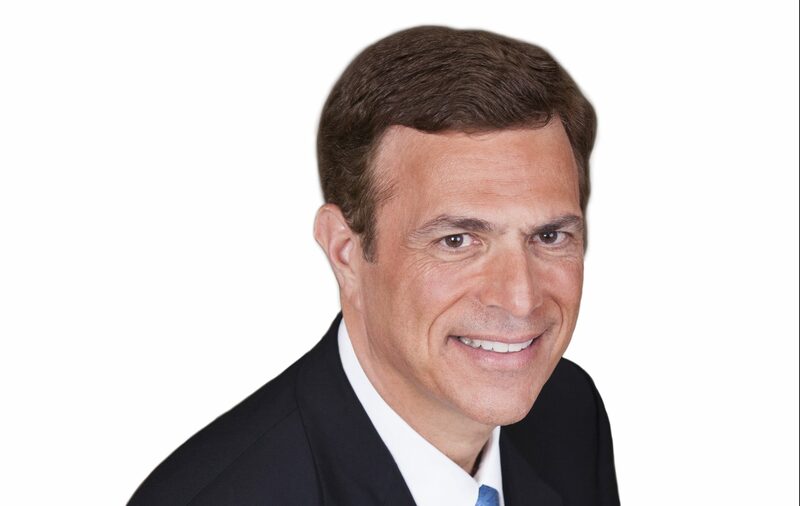 Award-winning presidential historian, NBC News and PBS NewsHour contributor, The New York Times columnist, and best-selling author, Michael Beschloss provided gripping tales and brilliant inside analysis, revealing the leadership secrets of great presidents and other towering figures in history. He shared original and unforgettable stories to illuminate the behind-the-scenes lives of American presidents and other titans, as well as describing the leadership skills essential to success.